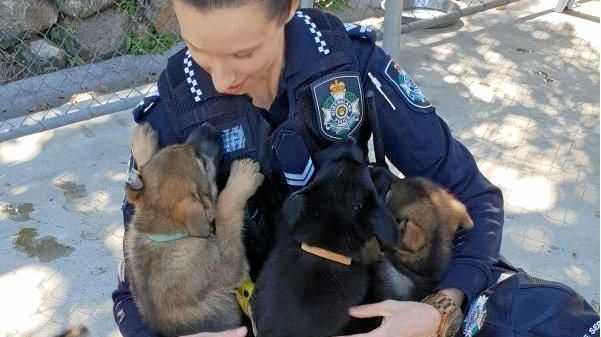 YESTERDAY the arguably cutest new Queensland Police Service recruits began basic training. 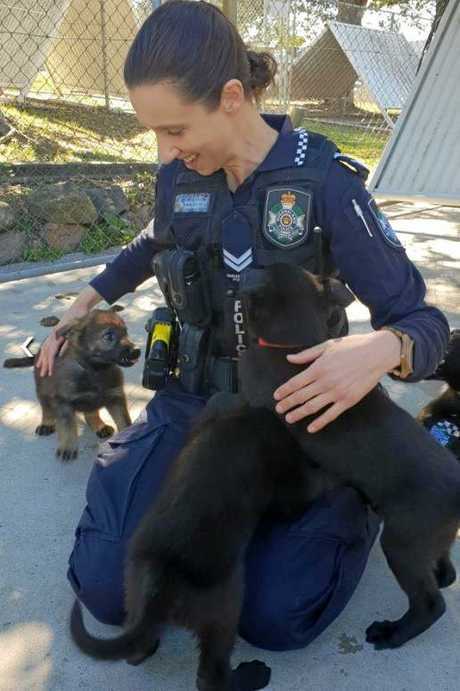 Nine police pups, known as the O Litter, began settling in with their adopted foster carers where they will begin learning crucial skills in the home and training environments. The pups, who are just over eight weeks old will stay with their foster carers for the next 12 months whilst they reach maturity. 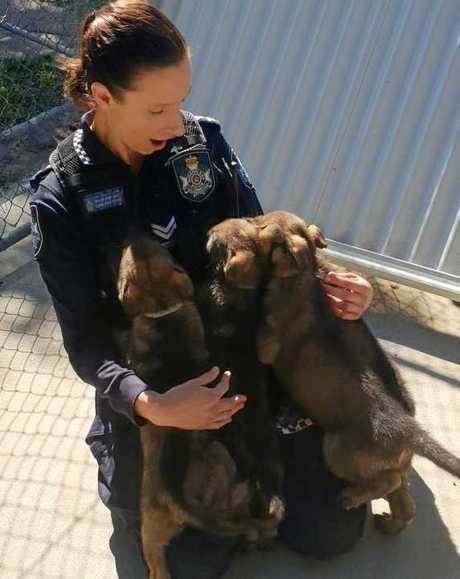 While in care they will slowly learn socialisation skills to help ready them for a career in the police force. Socialisation is a gradual process and for example, involves the following to familiarise a puppy with traffic, the carer will start by taking it for walks in suburban streets, and then progress to the point where it can stand comfortably on a traffic island in the middle of a busy road. 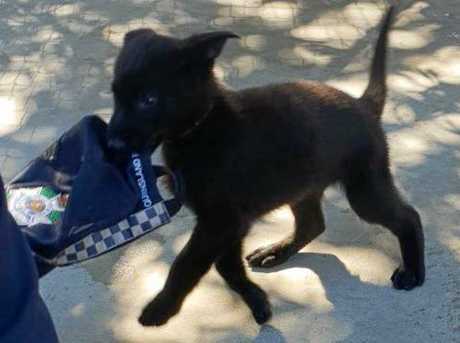 Gradually the pups will be taken to more challenging environments such as markets, schools, train stations and shopping centres, where there are crowds of people and plenty of activity and noise. Once they are ready, they will say goodbye to their foster carers as they begin their formal training course and are assigned a handler.